Joining the ASA Student Council is a great way to become more involved in the ASA. Student Council Representatives serve two-year terms which span four ASA meetings and are associated with a particular Technical Committee (TC). There is only one Student Council Representative for each TC. 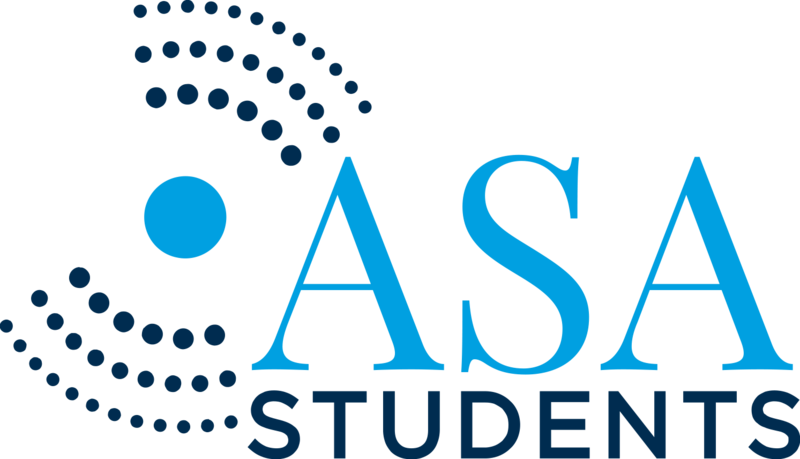 Student Council Representatives are expected to attend both Fall and Spring ASA meetings during their terms and will be reimbursed for up to $750 per meeting for costs associated with attending the meetings. General responsibilities include serving as a conduit for information for students within your TC, attending TC meetings to report on student activities, promoting the interests of students in the ASA, and assisting in the development and implementation of student-related activities and programs in the ASA. Applicants should be knowledgeable about the ASA and have attended at least one meeting prior to applying. Applicants must be ASA Student Members. Preference will be given to graduate students, and students who are members of underrepresented groups are encouraged to apply. Appointment for selected applicants will begin immediately following the current representative’s last meeting (see above for details). Please refer to this post for information about how to apply.